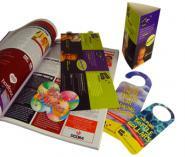 Magazine inserts can offer a cost effective alternative to on-the-page magazine advertising. On page adverts can be a very expensive way to publicize your products and services and many readers will simply pass over. It is vitally important that your magazine advertising and features capture the reader’s attention. Amongst the best ways of doing this are with a well-placed magazine insert such as bound in inserts, loose inserts and magazine cover mounts. You need these products to be attention-grabbing in their own right. Bound-in magazine inserts are, just as they sound, inserts that are bound into the magazine. They are fastened into the spine when the magazine is manufactured – either glued in when the magazine is perfect bound or fastened in with staples if the magazine is stitched. Bound-in inserts for magazines are usually made of stiff card and one of the beauties of this, from an advertiser’s point of view, is that when someone flicks through it almost invariably opens at the bound-in magazine insert. Female readers will know this as the ploy has been used for many years by manufacturers of cosmetics and perfumes who often use bound-in inserts in beauty magazines. 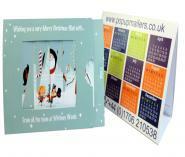 In B2B magazine advertising it is important to go one step further to make sure that your ad stands out above the rest and that is why we suggest 3D pop-up cards in this category. 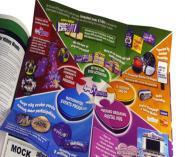 Another popular bound in magazine insert is a pop up Starburst design. You will find much more information on the individual product pages which you can reach by clicking the links. Magazine cover mounts are another product that sounds exactly like their name – one of our 'magazine insert' range that is actually mounted onto the cover. You will have seen hundreds of these 'magazine inserts' in the form of CDs and other free gifts and enticements attached to a magazine cover with a peelable adhesive. The idea is that you remove the cover mount and it becomes your magazine advert – so it needs to carry a strong message and be something that the reader will retain for future reference. 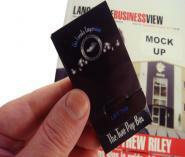 The Two-Pop Box product is an example of a magazine cover mounts and offer a surprise within a box – two small cubes leap free when the package is released. This business card brochure has a great impact on your reader and they will most definitely never forget your feature or advertisement because of this. The popularity of the loose insert randomly inserted into a magazine has been a roller coaster ride. Some advertisers swear by this type of magazine insert whilst others have said that response has been poor. There are still readers who tip all loose magazine inserts into the bin and others who look at every single insert – just like there are readers who read all on-page ads whilst others overlook them completely. As most loose magazine inserts seem to be A4 or A5 leaflets you need dynamic interactive products that have much more impact to make a good loose insert. Door hangers and table talkers are the loose inserts we have featured here, but get your creative juices flowing and take a look at our whole range for ideas.